Several small streams feed into South River and provide cold water habitat for trout and cool water habitat for smallmouth bass year round. 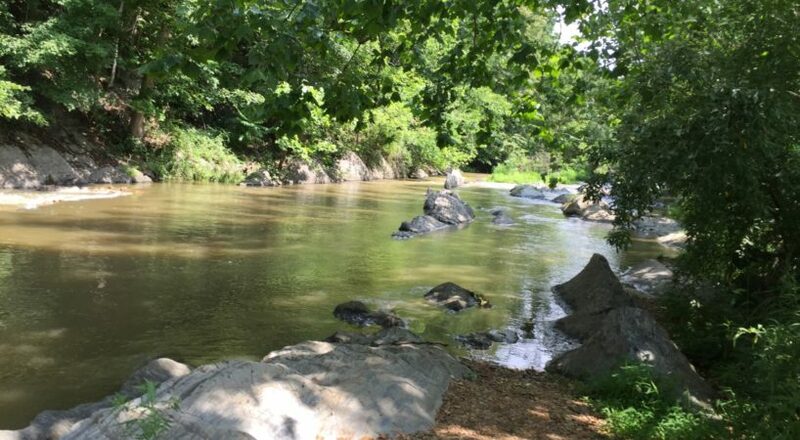 Located between Lexington and Buena Vista in the Vesuvius area, the South River is a beautiful, serene freestone stream with populations of rainbow trout and smallmouth bass. 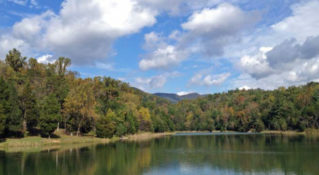 The stream is designated as “stocked trout water” by the Virginia Department of Game and Inland Fisheries and is stocked five times between October 1 and May 15. All of these fish are of “catchable” size and many are quite considerable. Regulations allow anglers to harvest 6 fish per day larger than 7”, and while many fish are quickly harvested, many also survive in the stream through several seasons, providing a patient angler with the opportunity to catch a true trophy. 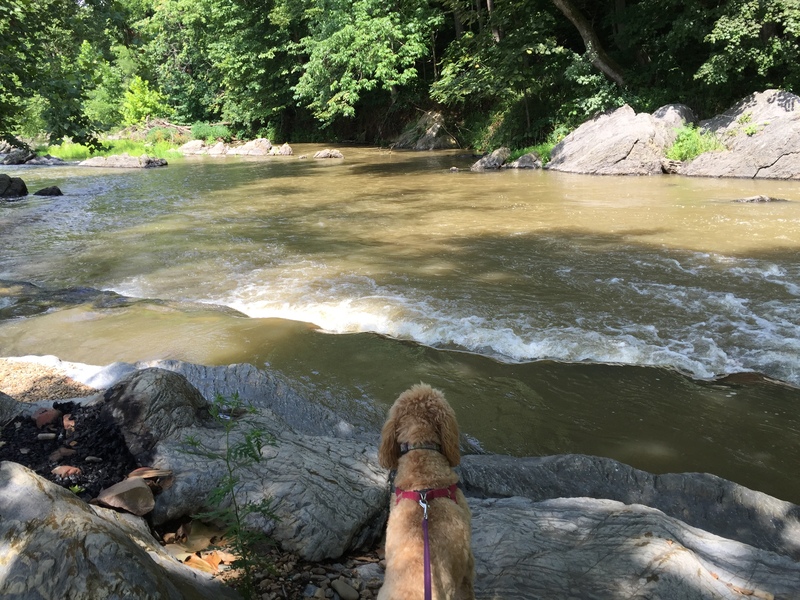 Apart from trout, the river also supports a healthy population of smallmouth bass that provide outstanding angling opportunities in their own right. From the Lexington Visitor Center, drive west on Washington Street to a right onto Main Street (US-11 Business). Cross the Route 11 bridge leaving town and take a right on Old Buena Vista Road. After about 4 miles, take a right at the fork in the road, and then turn left on South River Road after crossing the river. The road follows the river for several miles, and almost all the river is accessible to the public. 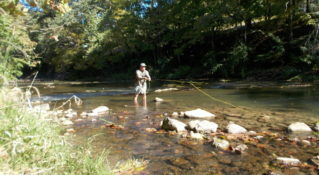 Local fishing pressure on the South River is closely tied to trout stocking schedules, but the fishing is often very good well after the stocking is done. 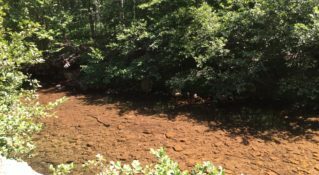 Several small streams feed into South River and provide cold water habitat for trout and cool water habitat for smallmouth bass year round. South River Market is known for their chili dogs and warm welcome. Source yourself a little picnic and pick up any supplies you might have forgotten.